Pupils from Danesfield School in Williton, Somerset, were inspired last week after a trip to EDF Energy’s Hinkley Point B power station where they met apprentices, learnt about energy production and also future career opportunities (11 December). 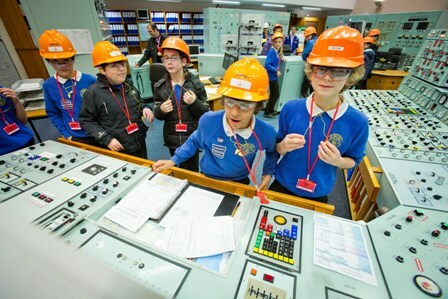 The sixty-five, year 8 students visited the station’s control-room simulator where employees receive training, the turbine hall where steam is converted into electricity and also viewed the pile-cap area where the two reactors are housed. Current apprentices were on hand to explain how electricity is generated and to also share their experiences of working-life at Hinkley Point.